Under the wide banner of Strength and Conditioning (S&C) the services we offer are coaching in core functional lifts including olympic lifting, programme design including exercise selection, sets and reps and if required a Functional Movement screen. Is Strength and Conditioning for you? For all sports and well being a good strength base is essential to improve and help you achieve your goals. So if you’re looking to get strong (don’t worry ladies you won’t get big!) then our S&C sessions are where to start. Wear loose or stretchy clothing, flat training shoes or if you have them weight lifting shoes. 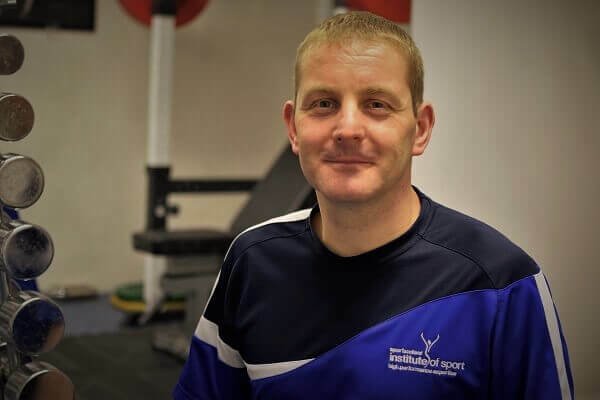 Our S&C couch currently works with abled and disabled athletes including Paralympic medal winners – working as a part time coach for sport scotland, institute of sport. and having completed level 2 with the UKSCA he is a recognised associate member.